The VW Golf Cabriolet has a fast folding softtop. Volkswagen AG has released details of its new Golf convertible that will debut at the Geneva auto show next week. VW said the Golf Cabriolet is among the quietest convertibles on sale with an innovative softtop that opens and closes quickly. The car's folding roof has an electro-hydraulic drive that opens in 9.5 seconds. It can also be opened or closed during driving at speeds of up to 30kph. The four-seat convertible's styling is similar to the Golf three-door at the front but it has a a new rear section and lower profile roof line. The car will be offered with six gasoline and diesel engines. The most fuel efficient, a 105-hp 1.6 liter diesel with VW's fuel-saving BlueMotion features, uses 4.4 liters of fuel per 100km and has CO2 emissions of 117 grams per kilometer. 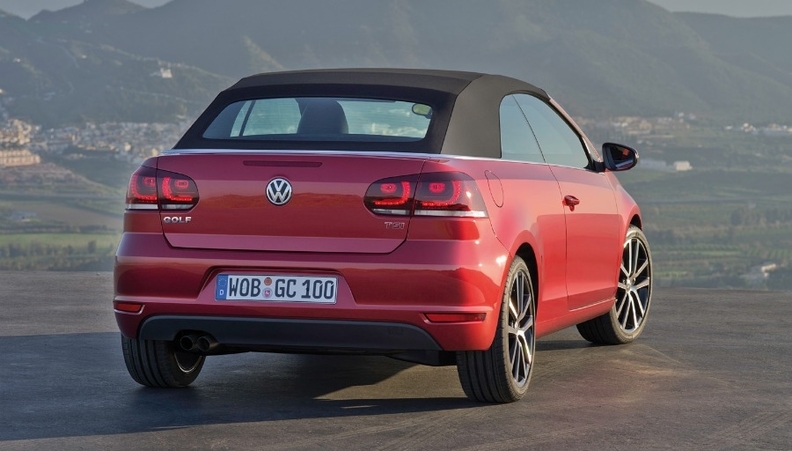 The VW Cabriolet has a lower roofline than the three-door Golf. 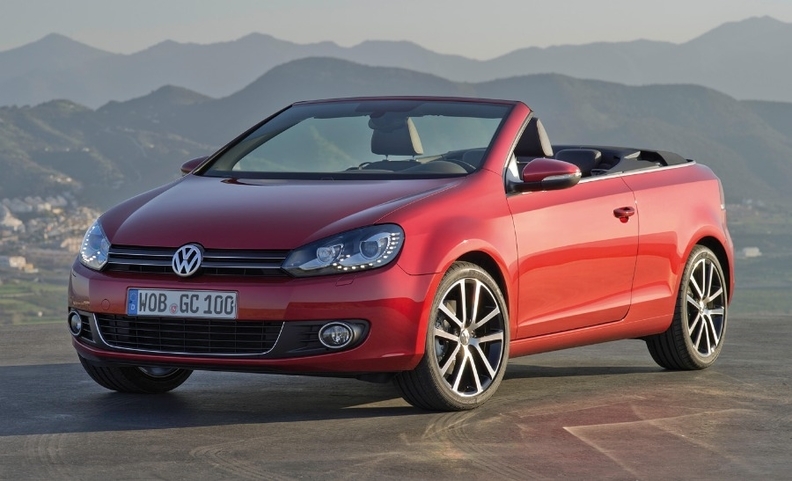 The Golf Cabriolet will arrive in showrooms in June, priced from 23,625 euros in Germany.